In this school holiday season, why not head to Thailand’s largest island—Phuket? Also known as the Pearl of the Andaman, this forested and mountainous island in the Andaman Sea is home to some of Thailand’s most stunning beaches. As one of Thailand’s most popular destinations, the tropical island of Phuket has much to offer for kids. Phuket is becoming more family oriented, with attractions such as the Trickeye Museum, Phuket FantaSea, Zorbing at Rollerball, Surf House Flow Rider, Baan Teelanka, Anthem Wake Park, Dino Park Mini Golf, Phuket Aquarium, Patong Go-Kart Speedway, Siam Safari, Splash Jungle Waterpark and the Bird Park which cater to younger visitors. For comical photo opportunities, Phuket Trickeye Museum is an attraction not to be missed. Situated in a large two-storey building, Phuket Trickeye Museum presents an amazing gallery of about a hundred 3D paintings which illustrate amusing and creative scenes using the trompe l’oeil technique. Pose along with the famous masterpieces of Van Gogh, Leonardo Da Vinci and Millet which are reproduced with a twist of fun. You will find the inflated ‘Mona Lisa’ painting particularly hilarious. Kids love animals, especially elephants! Don’t miss the chance to ride an elephant in Phuket, which is an ideal place for elephant trekking. To be up-close and personal with the friendly creatures, bring your kids to the informative and entertaining Siam Safari tour—the only certified elephant camp in Southern Thailand. Besides elephant trekking, the whole family can experience rural Thai culture and learn about rice farming, coconut processing, rubber making and Thai cooking. The award-winning Siam Safari tour also includes optional lunch or dinner cruises. 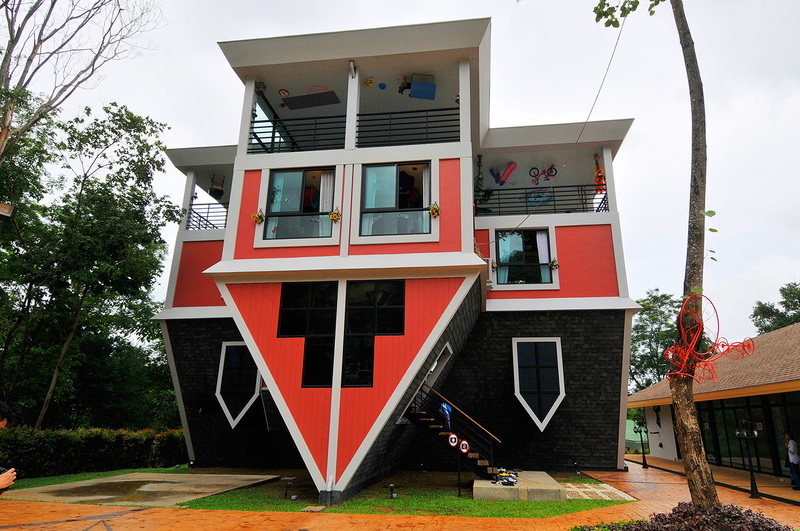 Baan Teelanka, also known as the Upside Down House, is undoubtedly the quirkiest attraction in Phuket. Suitable for all ages, Baan Teelanka is a three-storey house built standing upside-down on its roof. Bedrooms, living room, kitchen, bathroom and everything from decorations to fishes in its two aquariums…are all hanging from the “floor” above you! It has a 1,000sqm maze-shaped garden in its backyard and The Chamber of Secrets whereby visitors have to figure out ways to escape the rooms by finding clues and solving puzzles. It is a fascinating place designed with fun activities and bizarre photo opportunities for the whole family. Dino Park Mini Golf—as its name suggests—is a mini-golf course built in a Jurassic Park-like setting. It is a wacky attraction with large and life-like dinosaurs around each golf hole, and a “volcano” which erupts every 30 minutes—an ideal place for a fun golf session with your kids. At Dino Park, dine at the Flintstones-themed restaurant—the Dino Bar, which serves Dino Burgers! Besides never-ending family-friendly activities, Phuket has many high-end resorts where you can enjoy spectacular scenery, pristine beaches, glorious sunsets, and sparkling blue sea with your kids. 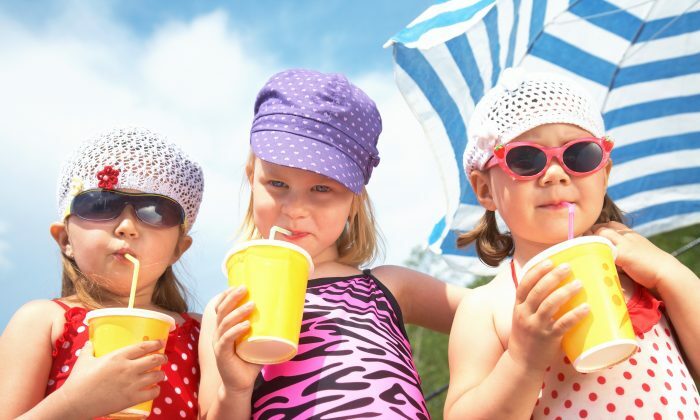 Here are three kid-friendly resorts that are bound to make your holiday planning easier and much more enjoyable. Located on Patong Beach, Holiday Inn Patong has everything to offer for a wonderful family holiday. Kids will be amused by the funky bunk beds in Kids Suites. In the Family Suites, parents can rest in comfort in the Superior Room, while the children are immersed in a ‘Pirate-theme’ fantasy in the connected room. In the Pirate-themed room, the beds are designed to look like pirate-ships, and the furniture to resemble treasure chests. The suites are also equipped with a toy box, TV with DVDs and an Xbox 360. The action-packed Kids’ Club has a TV, Xbox 360, arts & crafts, and games to entertain the youngsters. There is a Club 12+ where teens can play their favourite Xbox 360 games, watch movies, surf the internet, or take some shots at the mini pool table. With endless fun at the Kids’ Club pool, exciting trips to nearby attractions, and activities such as henna tattooing and Muay Thai lessons, kids can leave their boredom behind! Combined with its Kids Stay and Eat Free policy, Holiday Inn Patong is a paradise for families. Address: 52 Thaweewong Road, Patong Beach, Phuket . Mövenpick Resort & Spa Karon is a five-star spa resort located amid the tropical gardens and the 5km long whitewashed Karon Beach. One of the most family-friendly resorts, it has one of the largest kid’s clubs in Phuket. Its Play Zone offers indoor and outdoor sports activities, arts and crafts facilities, a DVD lounge, a playground, toys and games and dedicated staff to take care of your little ones. In addition, there is a swimming pool with two pools for children, a waterslide, and a swim-up bar. What’s more, the resort package includes a great discount for family booking—kids can eat for free when dining with their parents! The resort also features a European botanical garden, where kids can learn about over 120 different types of tropical trees and plants. Address: 509 Patak Road, Phuket. Club Med Phuket is nested in a palm grove in Kata Bay. Its longhouse-style bungalows and comfortable rooms overlooking the 12-hectare garden are perfect for families seeking a tranquil holiday. Little guests can be entertained at innovative clubs specifically designed for infants (Baby Club Med), toddlers (Petit Club Med), children (Mini Club Med) and teenagers (Club Med Passworlds). They will be well taken care of by Club Med’s certified caretakers. There is also a baby corner located in its main restaurant that caters food for infants, and is also equipped with meal-prep utensils for parents. Its baby-care rooms are open 24 hours a day and provide parents with bottle-warmers, microwaves, sterilisers, water, fruit, biscuits as well as toiletries and nappies. At an additional cost, parents can take advantage of the hotel’s baby-sitting services, to enjoy an evening to themselves. Address: Holiday Villages Thailand 3 Kata Road, Karon, Phuket.